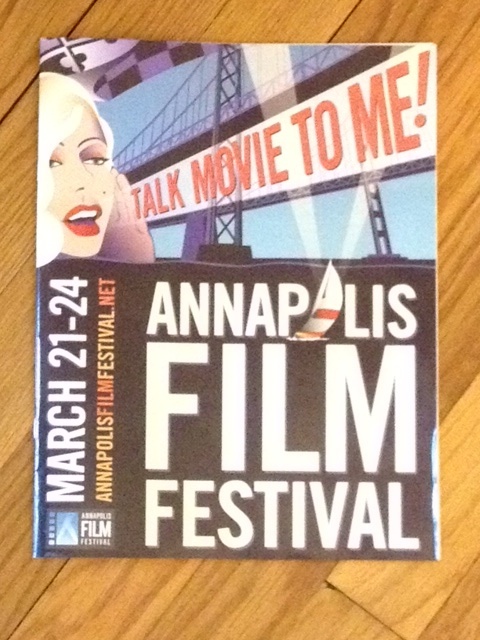 Angela Gibbs wrote and directed the short film “The Ties That Bind” shown at the Annapolis Film Festival yesterday in at Maryland Hall for the Creative Arts. I saw a number of thought provoking films, but what I didn’t anticipate were the opportunities to meet and talk with the film makers, writers, and actors. 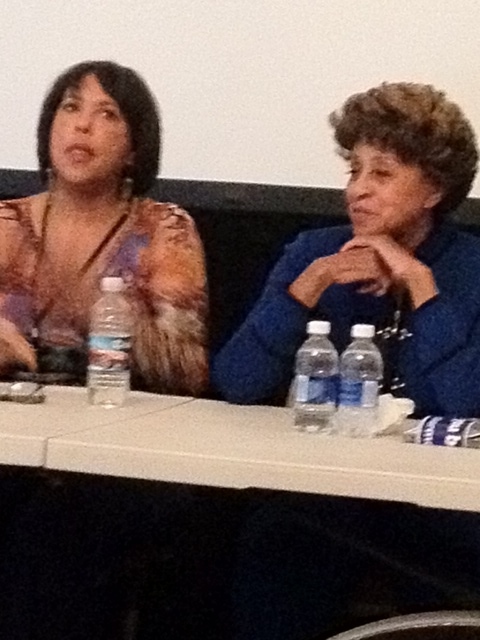 The presence of phenomenal actress Marla Gibbs (remember her from the television series The Jeffersons?) took me by surprise. My friend Catherine Davidson texted me afterwards and told me Marla is 81 years old! Hard to believe. Her daughter Angela wrote the script inspired by the true story of her friend Sandra Davis who has an abusive alcoholic mother, but overcame her past and became a successful businesswoman. Today the festival continues. At noon over at the Bay Theatre. one of the short films showing is a”A Younger Man”. I had the opportunity to interview the screen writer earlier in the year and here is the link to the related article. With so many great movies released in 2012, it is not surprising that there may have been a few gems that were overlooked. Probably one of the most original screenplays of the year, if you are a fan of science fiction and time travel, Looper was quickly cast aside after its release in September and is now readily available via blue ray and DVD. I highly recommend it, and have already watched it twice, as there are many plot intricacies to ponder. So while you may be scrambling to see some of the 2012 Oscar winners still playing at the cinemas, you can see Looper at leisure while sitting on your couch. While Looper was marketed by Sony as a Sci-fi action film, there are interesting nuances addressing culture and family relationships. Set in the future by just a few decades, everyone other than the homeless. own a gun and they use those guns to protect their home, cars, and anything else they value. It’s too bad the film was not released closer to our current debate on gun control legislation. It’s every person for themselves in a society that ingest drugs through eye drops and lives for present self-gratification. But there is still the human desire for lasting love and commitment. Written and directed by Rian Johnsons, lead actors include Bruce Willis, Joseph Gordon-Levitt, and Emily Blunt. I highly recommend this film.